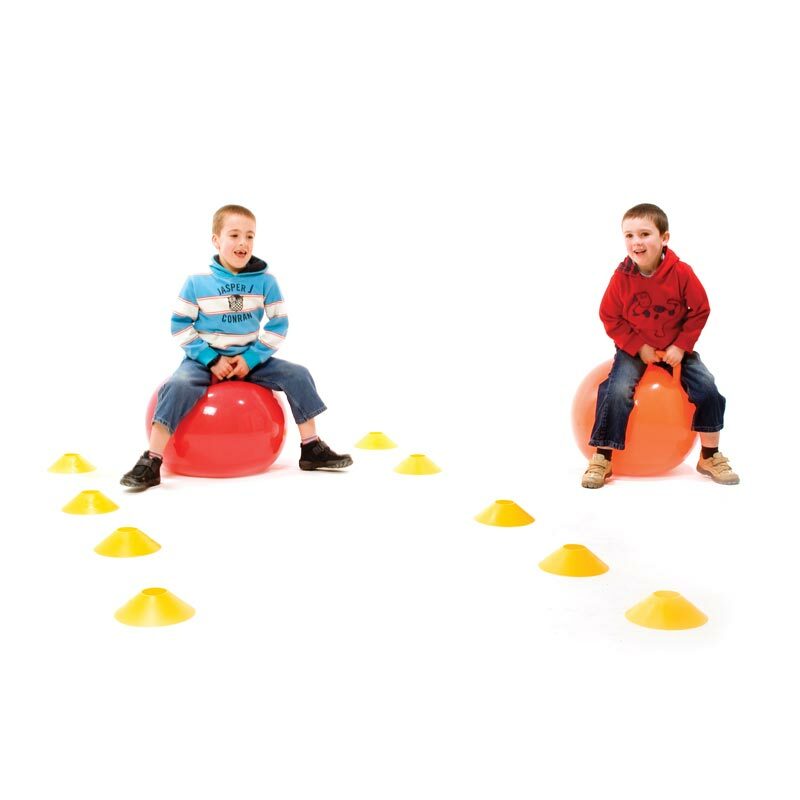 The First Play ® Hoppy Race Pack contains four 50cm hoppers along with 25 marker cones for lane spacing. Race distances can be adjusted to suit participants needs. Cones can be laid out to create different tracks. A fun and exciting race pack. Create course to various distances. Increase balance and co-ordination skills. Race upto 4 participants at once.